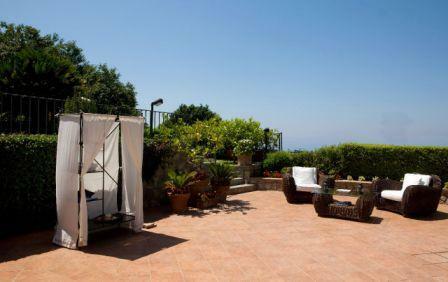 Bed & Breakfast in Anacapri " Il Tramonto "
A welcoming villa with gardens, offering Bed and Breakfast. 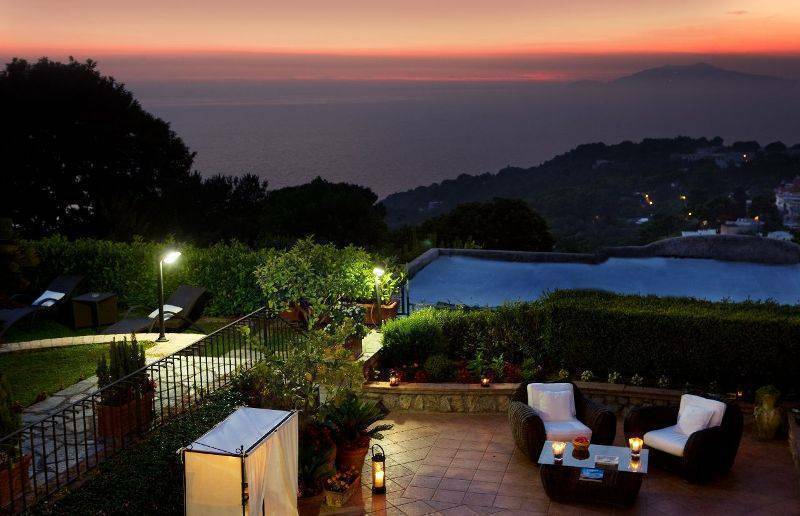 From the large terraces guests can enjoy splendid views over the centre of Anacapri and have the opportunity to experience some of the most spectacular of sunsets (the hotel is, in fact, called 'sunset', Il Tramonto). Il Tramonto has bedrooms with ensuite bathroom, one of which has a whirlpool bath. The perfect place to spend a vacation and, at the same time, experience both the culture and day to day life of the islanders. Always welcoming and courteous, staff are only too pleased to introduce visitors to the many wonders of the island and to ensure that travellers discover a Capri which is both breathtakingly beautiful and rewardingly authentic. 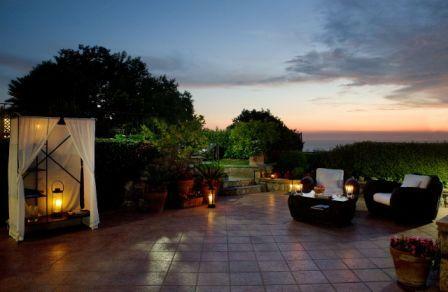 Il Tramonto boasts a fabulous view over the Gulf of Naples and the Island of Ischia. The ideal setting for a superbly relaxing holiday. Situated on the western slope of the island on a highland that culminates with the Solaro mountain, Anacapri, with his/her whites houses it dipped in the green of the ulivetis and the vineyards, it degrades from the imposing slopes of the Solaro Mountain and he/she embraces the whole western coast of the island where the sea of the color of the lapis lazzuli sparkles. They were above all writers, poets, foreign intellectuals to make of Anacapri, beginning from the eight hundred, a favorite destination for the one who was still to the search of peace and an uncontaminated, rustic and silent nature, more lowly elegant of the neighbor worldly Capri, already on its way toward a more commercial tourism, on whose wake the ancient paesino of fishermen and farmers you/he/she has gone modifying. You/he/she cannot be lost to Anacapri the characteristic street Capodimonte, sharp pain of shops, that reaches villa S. Michele, belonged to Axel Munthe with his/her beautiful garden and the splendid panorama on the northern slope of the island. The central position of the structure will allow you to arrive in few minutes in the different places of tourist interest: the Solaro Mountain, attainable with the characteristic chair lift, the monumental church of S. Michele with the fabulous representative maioliches the terrestrial heaven, the Villa of Axel Munthe with the marvelous terrace from which it is possible to admire the Gulf in Naples the belvedere of the Migliera from which the suggestive Faraglionis can be seen known all over the world. 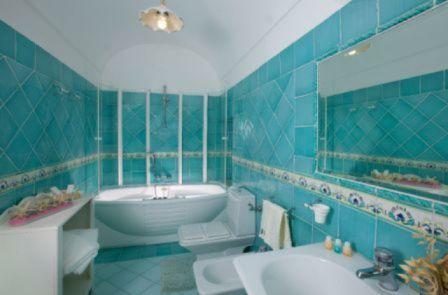 You can also reach then with extreme facility the seaside resorts and the town in Capri. To few meters I am there, in fact, public bus and taxi. The double room is with private bathroom with shawer and 1 superior room with Jacuzzi, tv, air conditioned, large terrace with sea view where your breakfast will be served. The Triple room is with private bathroom with shawer, tv, air conditioned, large terrace with sea view where your breakfast will be served. stay will be charged to your account. The Cancellation Penalties will be charged to the credit card number sent to us to guarantee the reservation. 10 minutes from the centre of Anacapri and the main bus stop for Capri and the beaches. Please call us when you arrive in Capri, so we will be able to give you precise information on how to find us easily.